Here's Roger's outfit for this years French Open. It's unlike anything else he's worn at Roland Garros before and looks more akin to something he'd usually wear at the US Open. It's the exact same style as his Madrid and Rome outfit just in a new anthracite colour. I'd say it's closer to black than grey and has a carbon/charcoal like look to it. As usual it's pretty nice, not as good as last years red effort but that one is going to be tough to beat, I did after all rank it number 1 in my top 10 Fed outfits of all time post. An interesting outfit… to be honest, the use of black brings me back (unwillingly) to the 2008 outfit for this same tournament… and we all know what Rafa did there. The yellow highlighting is an interesting effect, since I am usually used to the black/red combination. Yeah 2008 last time he wore a dark colour at the French, although I think it was more navy than black. That was a freak result really, year of the mono and bad back so no way he was at his best. I am not in favor of total gray or total black for our “White Knight”. It reminds me of the old days when Roger wore all black, black socks & shoes, who was the gladiator of all who came up against him and was not thought of in the same “light” as he is now. I know Roger likes and wears gray a lot in his everyday clothing but on the courts, I prefer at least part of him in white and always white shoes & socks; but that’s just me. He looks good in everything but this is not what I would have chosen for him but hope it brings all the luck and good “light” that he needs and deserves. Allez Roger! Yeah I’m not a big fan of black trainers and socks. Although I did like his US Open all black outfit that year. I’m sure he’ll play well regardless of outfit though! It’s about time he went all Dark Knight on Nadal though. Maybe the outfit is a sign! Darth Federer makes an appearance in Paris. Hopefully makes him play like he did with all black at the US that year. 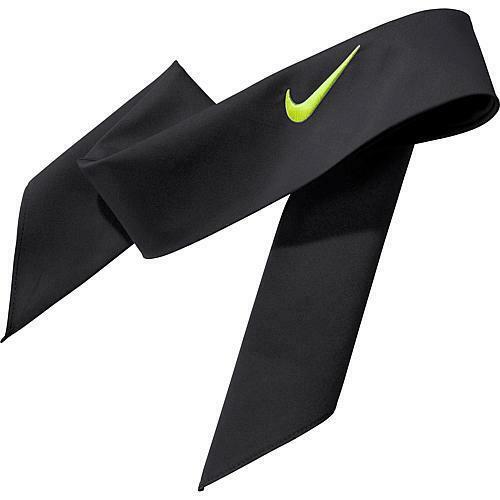 Reminds me of Rafa’s assassin outfit in New York 10. He crushed everyone there. Hopefully Roger will do the same. I’m glad he’s not wearing blue, too many times, 06, 07, 09, 10. But I like his 07 a lot, the stripes on the blue polo and dark blue-black headband and shorts. 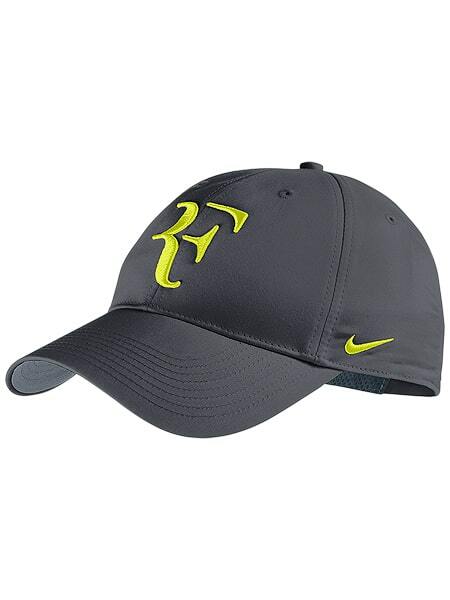 Yeah been the colour of choice for Roland Garros, he wore blue in 2008 as well. I wasn’t a fan of the 2010 blue that he wore at the French and Halle, terrible. You seen his Wimbledon outfit? Pretty nice, I’ll post it out soon. You think if he doesn’t win a slam his fan base will go down? I’m not sure…. it might not increase as quickly if he’s not winning slams, but most Roger fans are pretty loyal I think. Even if he lost 1st round he’d still be the one player I want to watch at tournaments and live on TV. I guess more and more youngsters are growing up with players like Nadal doing well… so they are bound to aspire to play his brand of disgusting tennis. Doesn’t any1 think that wearing black while playing @ french open in the blazing afternoon sun isn’t suitable?? Yeah good point, I hadn’t thought of that. Although Fed seems immune to the sun, he’s worn black in New York at the height of summer, and also in Australia where it’s ridiculously hot so he must be used to it. 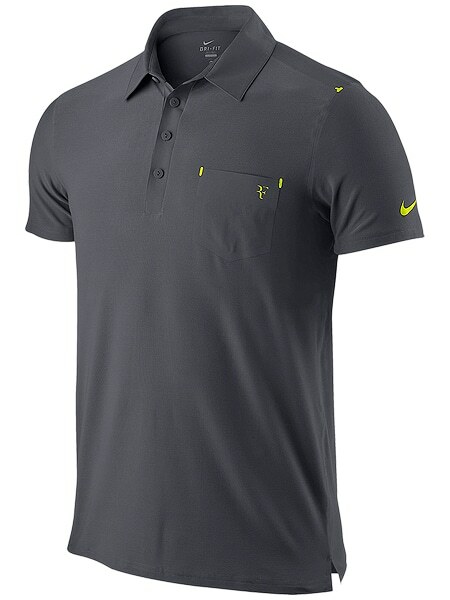 I’m definitely getting the polo – it looks incredible. I really, really like this outfit. Pretty soon you’re going to have to get a new wardrobe entirely dedicated to Fed clothing! Yes, maybe, haha. I’ve got the Basel and WTF 2010 shirts, the Dubai ’12 shirt, the red USO ’11 shirt, and I’ll be getting the IW and FO ’12 ones as well. Hey, Fed has quality shirts. I love them because I can wear them to play tennis, but they are also classy and formal enough to wear for social gatherings as well. I win in both situations. 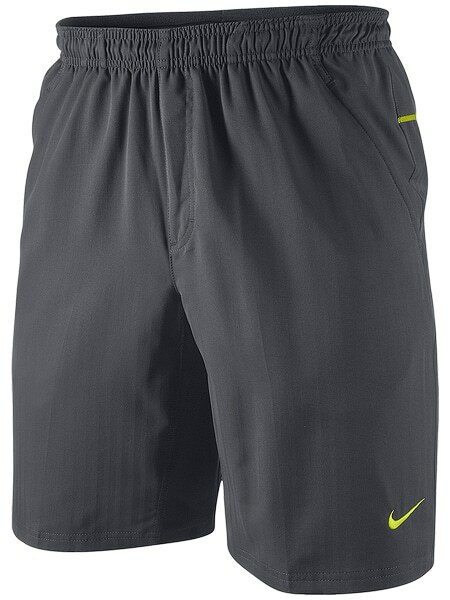 This looks exactly like Rafa’s outfit in 2010 US Open. Why doesn’t Roger wear green, which he never wears, or maybe white like he did in Rome 2006? White seems exclusively for Wimbledon these days. If Roger is wearing bright colours like solid green, its best to stick with white shorts which work with anything. I think Roger would look nice in green polo/white shorts combination if Nike chose it for him. I remember you said you didn’t like the bright yellow he had last year at Dubai and Indian Wells. I think it was nice in both day and night. II was kinda hoping Roger would wear green for this years French Open. He did wear teal in 09 cincy. I loved outfit suited him so well! I play in that shirt and his red/black USO 09! But I did like his Cincy 09 top that was sweet, hard to find now though. French Open 11 is my favourite, it’s the one I play in! Of course I will buy it. Also since my size is S I always have to rush to buy his new outfits. Because skinny guys are never lucky with clothes. 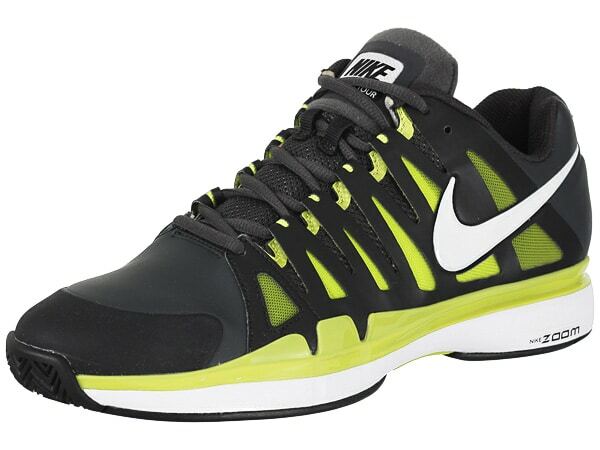 But I am a FedFan so I will hunt for those. Ah I’m sure tennis warehouse or somewhere like that will have your size! Hey peRFect. First of all cool blog!! I must agree with previous comments regarding the black, I think its amazing that RF is still hyping the fashion up even though he can be seen as the oldest in contention. I mean if you compare his outfit to the new sponsor of Nole, he looks so out of sort in the Asian brand. Go RF!!! 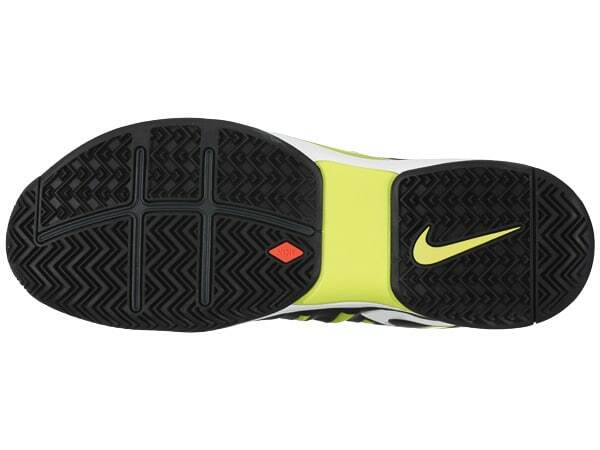 Yeah the Nike & RF partnership has been such a winner. Addidas and now Uniqlo that Djokovic signed with have the most ridiculous designs. Although Sergio Tacchini weren’t much better!